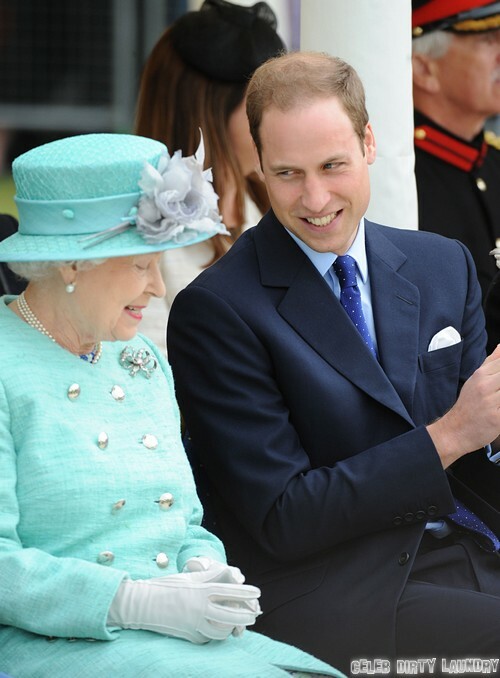 If there was any doubt in your mind that Prince William is on the fast track to becoming the next King of England, think again because he just made yet another great leap into the “senior royal” category. William presented medals and a knighthood ceremony at Buckingham Palace last week, a duty that until now has only ever been carried out by Queen Elizabeth and on rare occasion, Prince Charles. This year we watched the Queen give both Charles and his drunken wretch of a wife, Camilla Parker-Bowles moments of duty that were met with both negativity and pure dislike. The peoples’ reaction made it perfectly clear that Elizabeth needs to make a wiser choice for leadership and luckily both William and his wife, Kate Middleton are both up to the huge task. William presenting the medals is just one more step for him in what is becoming a very clear cut path towards a seat atop the throne. He recently retired from the Royal Air Force in favor of a more domestic life at home, one that allows him to take on the full duties of a senior royal. CDL has previously told you that according to our sources the ultimate timetable seems to indicate that Elizabeth wants to abdicate power and announce Prince William as King next summer. That gives him a year to adjust to fatherhood and acclimate himself with being a full-time royal. My guess is that in the coming moths we will see William taking on more responsibility and reliving the queen of more duties to continue testing the waters and gauging public reaction.. Do you think that William is on his way to becoming the next king? Tell us your thoughts in the comments below!